The map's creator says it "may be used as a base for a bomb or hostage map at a later stage." 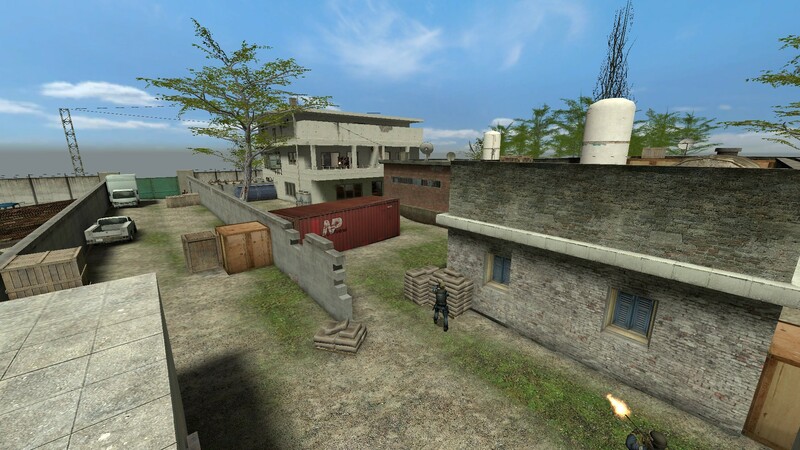 For now, it's a general purpose multiplayer map based on the known dimensions of bin Laden's compound in Pakistan. More screens and a download (1 MB) at the link. Civilian NPCs in the game? there weren't any civilians in the real thing. What about VIP/assassination mode? I know no body likes those modes, but in this level, it's a must! Would be good for a Trouble in Terrorist Town map.